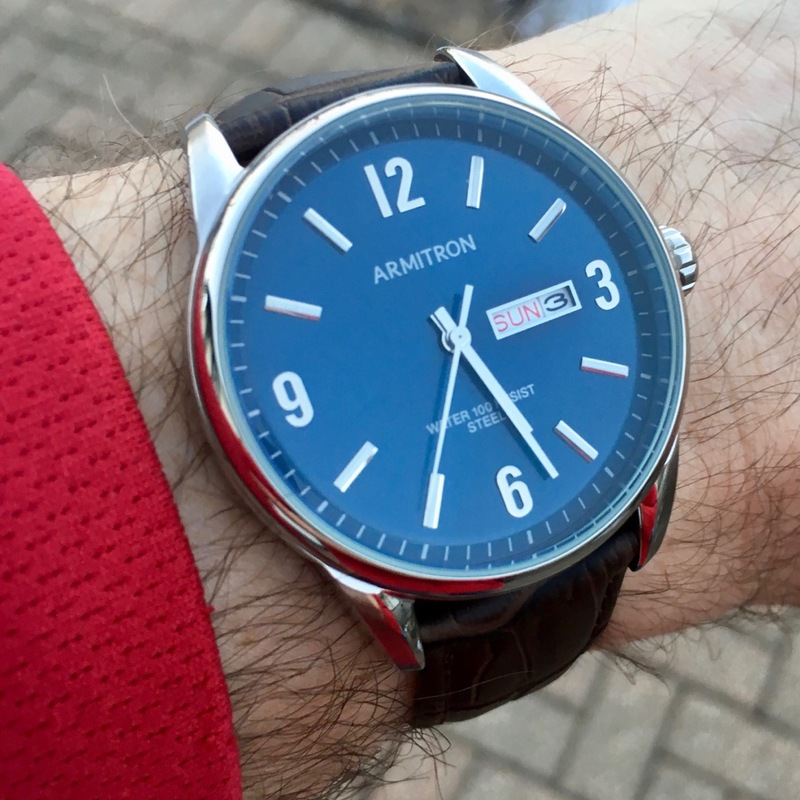 If you recall, it was just last month I reviewed a watch that I took to calling the Armitron Explorer. This is not, of course, what the brand calls it, but it’s what it made me think of when I had the watch in, so it’s what stuck. Now, it’s your turn to have a chance to win it, and form your own opinion! This is a solid, super-affordable watch (it only runs $65) and would be a perfect companion for your summertime weddings and whatnot. You could, of course, read our review, but I’ll give you the quick recap down below of our summary and the specs. Now, for the part you’re waiting for – how to get your entry in! Be sure to do both steps for a complete entry! Do note, this giveaway is only open to residents of North America. Good luck, and our thanks to Armitron for sponsoring this month’s giveaway! Would I wear it? Yes, but sparingly. I like the tutor ranger! Breitling Emergency. Never had one, but it looks really cool.